Certified Mold Testing NJ – NY LLC serves as a Lodi NJ Mold Testing company. 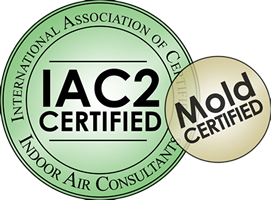 Experienced in the Lodi area, Certified Mold Testing is always available for an appointment to test local homes for mold as well as answer any questions. Being Mahwah Bergen County NJ based, most testing can be scheduled and executed quickly for local Lodi homeowners. Certified Mold Testing is not a remediator, which can be in the homeowners best interest – see the possible conflict of interest between Mold Testing and Mold Remediation services here. Lodi New Jersey is a borough in Bergen County. The borough is diverse and home to many Newark or NYC work commuters. Low crime and access to great amenities make Lodi a great place to call home. Lodi was named after a city in Italy – Lodi, Lombardy. Many people enjoy calling Lodi home simply because it is a low key community where people feel extremely safe. The Lodi school district offers a student to teacher ratio of roughly 14 to 1, including per- pupil spending higher than the national average, so families appreciate the quality schools provided for their kids. The recreation department provides a wide range of activities; there are roughly 13 parks, including a number of other mini parks. Families also appreciate the opportunity to test for mold by utilizing the services of Lodi NJ mold testers from Certified Mold Testing NJ-NY LLC.